AVATARIUM, the new project led by Leif Edling, founding bassist and main songwriter of Swedish doom metal legends CANDLEMASS, made its live debut earlier tonight (Saturday, November 9) in Stockholm. AVATARIUM played two songs at the private 40th birthday party for AVATARIUM and TIAMAT drummer Lars Sköld at Blå Cupolen. A photo of the performance can be seen above. The self-titled debut album from AVATARIUM is available for streaming in its entirety using the SoundCloud widget below (courtesy of Terrorizer.com). "Avatarium" was released in Europe on November 1 via Nuclear Blast. AVATARIUM's first release was a 12-inch mini-LP, "Moonhorse", featuring the title track, the B-side "Boneflower" as well as an acoustic cover version of BLACK SABBATH's "War Pigs". It arrived on September 20. 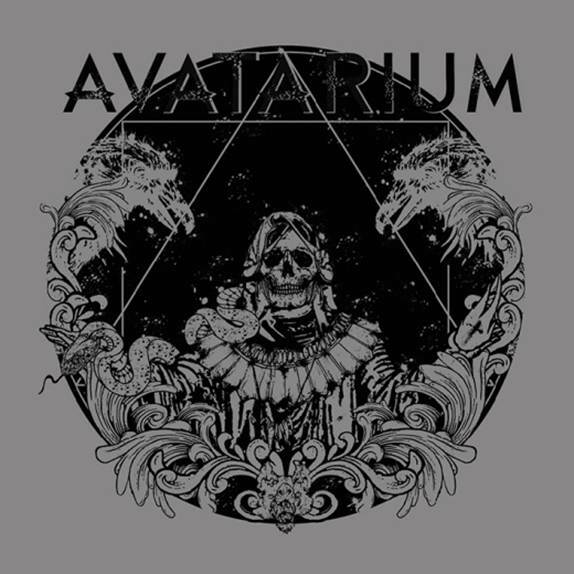 The cover artwork for "Avatarium" was created by Swedish artist Erik Rovamperä, who has previously worked with CANDLEMASS. Jidell had the following to say about the birth of "Avatarium": "We are very proud to present the first, but not the last, AVATARIUM album to you. "When we started to demo the songs on this album, we had one thing that we thought was extremely important: we wanted to make music that was heavy, dark and poetic. Also, we had an urge to make an album with a very organic sound and no fixing and trixing in computers but just try to make great emotional music. "During the whole process, we have been looking for feeling rather than trying to make everything technically perfect. "I think that everything really came together the first day Jennie-Ann came in the studio and sung 'Moonhorse'. She had everything we looked for in a singer: rock 'n' roll attitude, jazz and blues feel, a big and powerful voice and yet so able to be fragile and extremely tender in her interpretation of the songs. "If you like heavy, dark riffs and big guitars, emotional, raw and bluesy vocals, thunderous and groovy drums, I am quite sure that you'll like AVATARIUM."